GTL Energy Ltd (GTL Energy) was formed in Adelaide, South Australia in 2000 initially to investigate coal-to-gas and gas-to-liquids technology for a specific project in Australia using low rank coal. This led GTL Energy to research and develop process technologies to convert low grade coal into higher rank fuel for cleaner, more efficient power generation, gasification and liquefaction. 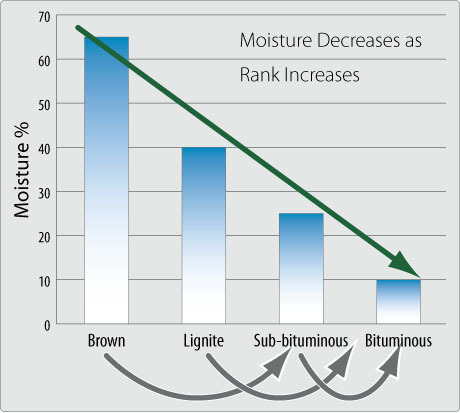 Low rank coal comprises sub-bituminous coal, lignite and brown coal, all of which contain substantial amounts of water (20% to 70% Total Moisture (“TM%”) by weight). Due to its high moisture content, low rank coal diminishes power plant efficiency and produces more emissions per unit of energy produced. GTL Energy’s primary objective is to upgrade low rank coal by removing a significant amount of water, thereby raising the thermal value, reducing emissions, improving the transportation and handling characteristics and increasing the market value of the fuel. Upgrading coal from low rank to high rank may result in access to stranded resources and a reduction in emissions. In tests to date, the GTLE Process has reduced the moisture content of coals from around the world, thereby increasing the energy value and the $ value of low rank coals.